F.or years Motorola has had a stranglehold on the budget phone market. It’s gotten to the point where it’s as if you could just change the headline on previous reviews, update a few numbers and specs and call it a day. Now, no one is going to do that, it would be lazy, but the sentiment still rings true. 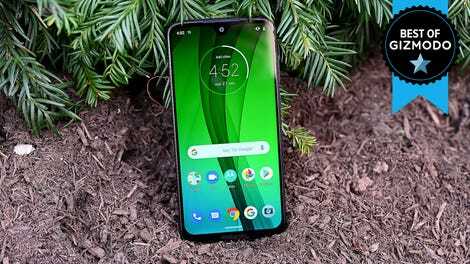 And after spending some time with the Moto G7, while I do wish Motorola added just one more feature to make its latest £240 just a bit more exciting, the G7 still feels like one of the best deals of any phone on the market. What is it? Motorola's latest budget phone. Like: Big, bright 6.2-inch display, solid build with headphone jack and microSD card slot, double the base estorage of last year's model. Don't Like: Mono speaker, battery life is just OK, low-light picture quality could be better. 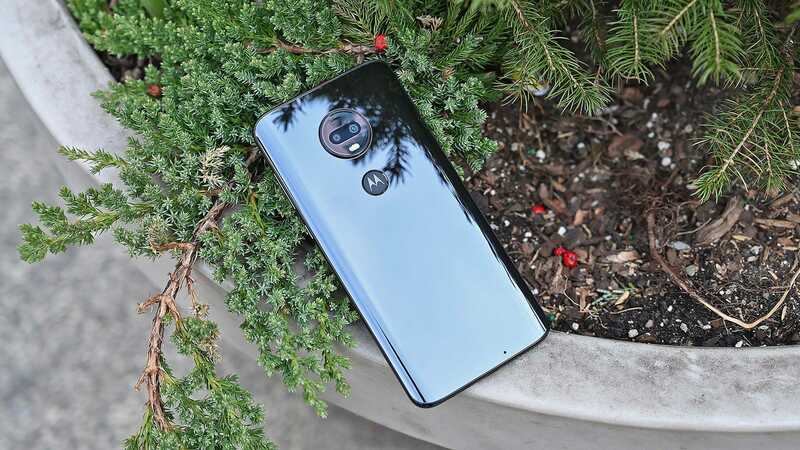 For 2019, it seems Motorola’s idea was simply to give the G7 more of everything. At 6.2-inches, the G7's LCD has gotten a sizeable increase from the 5.7-inch display featured on last year’s G6. 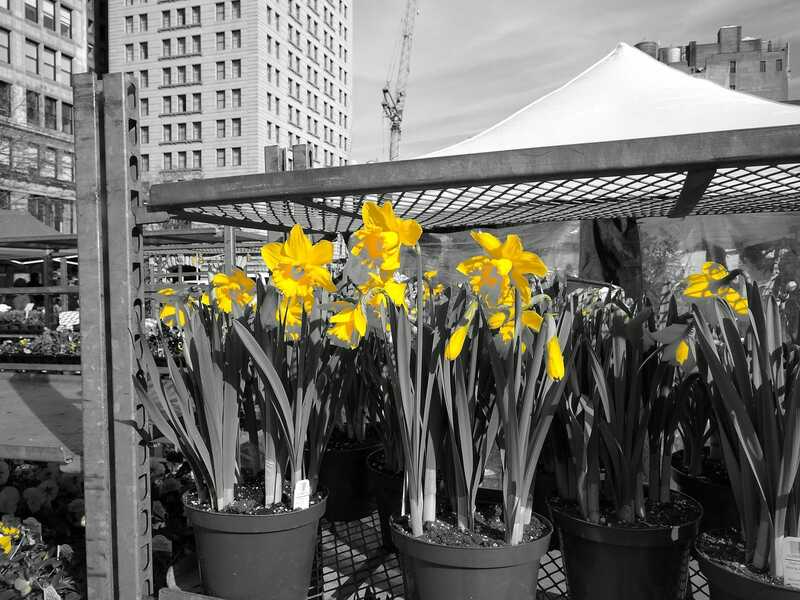 The screen is bright too, able to hit nearly 600 nits on our tests, which makes images look rich and vivid even viewed outdoors. And by moving the phone’s fingerprint to the back of the device while also slimming down its bezels, the G7's screen to body ratio got a nice bump to just short of 82 percent. Holding everything together is the same glass-panelled front and back that you get on every other phone nowadays. However, despite the G7 being a tenth of an inch wider and taller than last year’s model, because it’s still relatively light and a tiny bit thinner than before, the phone never feels cumbersome even in my smallish hands. There is one design choice that feels a bit pedestrian though: that notch. Between the tiny hole for the 8-MP selfie cam and the relatively thick hump surrounding it, the top of the G7 kind of reminds me of a cyclops with a unibrow wearing eyeliner. While I wouldn’t call it offensive, it’s not exactly an endearing look either. 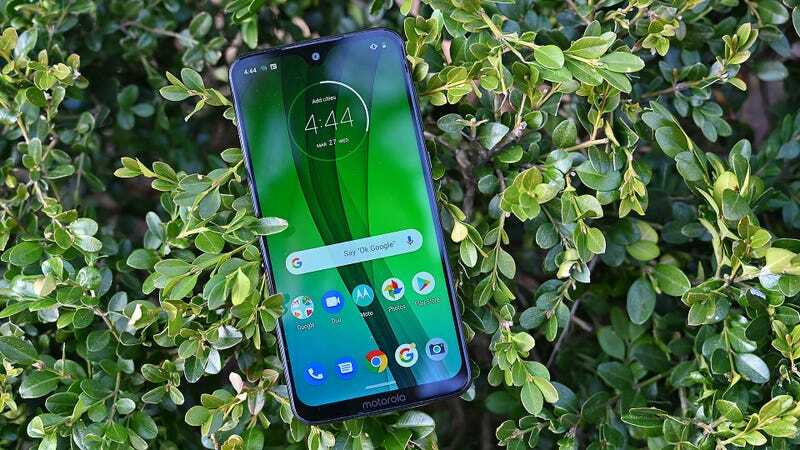 Around back, Motorola included a familiar dual camera module consisting of a 12-MP main camera and a secondary 5-MP depth sensor that assists with things like portrait shots. In bright light, the Moto G7 is an even better shooter than the slightly more expensive £300 Sony Xperia 10, particularly when it comes to accurate white balance and preserving details in highlights. One of the starkest differences came in a head-to-head shoot-off of a statue of Abe Lincoln in the late afternoon, where the Moto G7 captured an image that was better exposed, colourful, and avoided the awful yellow colour cast that plagued the Xperia 10's shot. In low light, the competition was a lot closer, with the Moto G7 suffering from excess noise in certain shots, and a general lack of sharpness in others. It’s a real shame because it feels like the G7's low-light photography hasn’t improved much since last year, and all things considered, it’s the one real knock I have against the phone as a whole. Motorola also gave the G7 some fun extra camera modes like Spot Colour, which lets you preserve a single colour in the shot while turning everything else to black and white, and a built-in cinemagraph mode that lets you turn videos into quick, eternally looping gifs. And while neither mode nails the effect 100 per cent, both are more than capable of delivering a bit of quick fun. The G7's Spot Colour mode didn’t totally nail it, but for something that took a couple of seconds to make, it’s hard to complain about the end result. For people who want longer battery life and better low-light photography, I can’t fault you for wanting to reach for more. But when you consider everything the Moto G7 offers for £240, it’s hard not to appreciate how it fares against similarly priced competition, not to mention how much value it packs compared to today’s £1,000 handsets. At £240, the Moto G7 costs £70 more than last year’s phone. In return, you get a bigger 6.2-inch screen, twice the base storage (64GB), and some bonus camera modes.